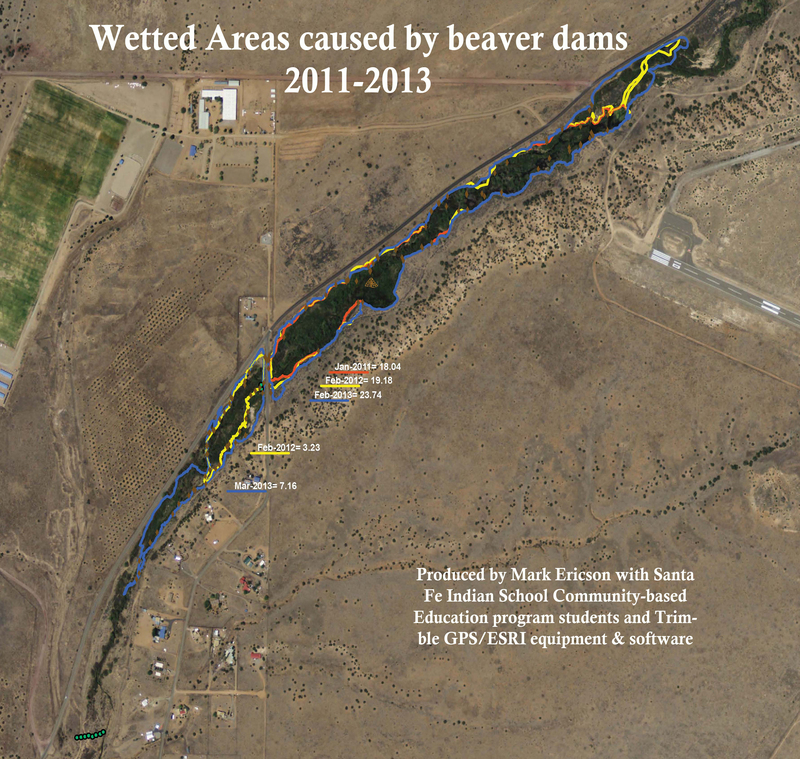 Farmers who are short on water are blaming and removing beavers, environmental interests have planted many trees, and beavers thrive on water that is flushed by Santa Feans and gets wastewater treatment. 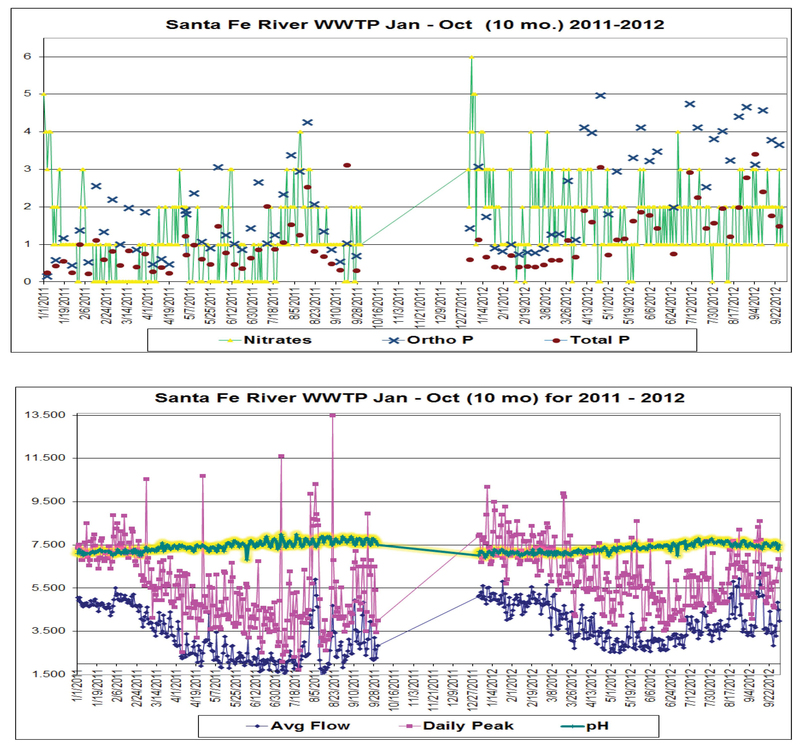 At this reach the Santa Fe River is a losing reach that is entirely effl uent-dependent and yet wetlands exist from flows driven by the habits of Santa Fe residents and wastewater contracts with private and municipal users for uses such as golf courses. 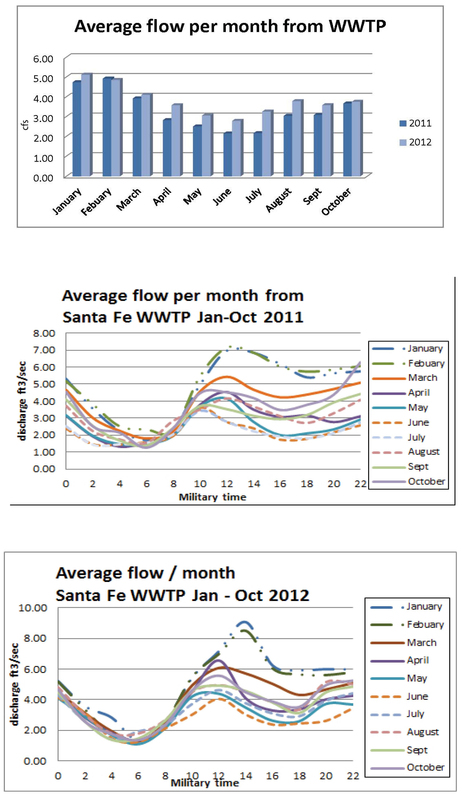 River Source started monitoring with numerous schools since 1996 and now with a focus on upper level Native American students at the Santa Fe Indian School who generated the map and one of the graphs from the water quantity data they collected. 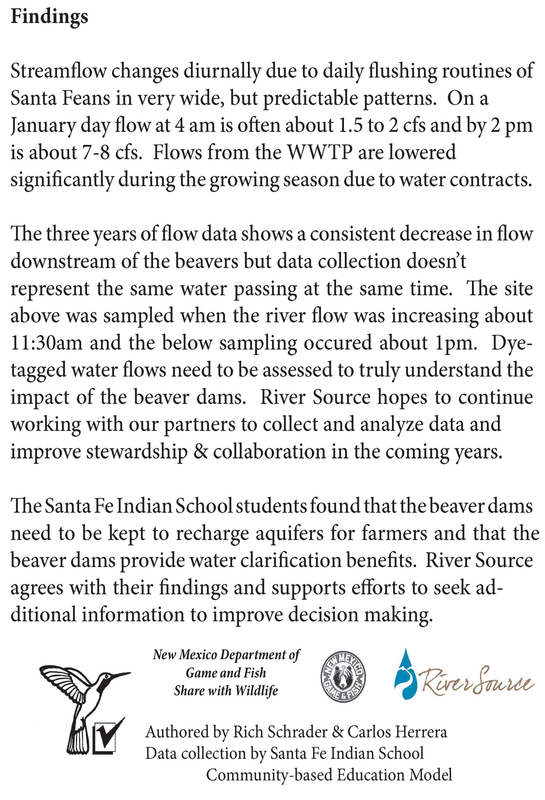 River Source filed a Public Information Request and received hand-written and digital data that is paired with student-generated data.